RAILKO PV80 is a self lubricating material with an acetal polymer base. It is injection moulded to form precision components for the automotive industry. It resolves the problems of noise and friction that occur with conventional materials. 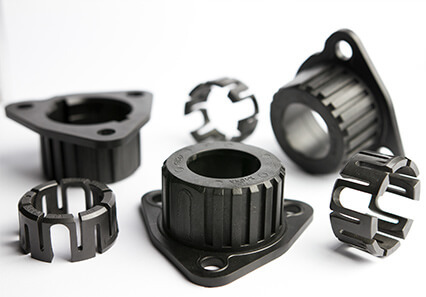 The material is used in the automotive industry for pedal bushes, ball seats, steering column bushes and gear shifts. RAILKO PV80 is injection moulded to form precision components.